As well as our usual range of burgers, we also offer the option for you to create your own flavours. Let your imagination run wild-we will make any burger that you can think of! We offer a range of bacon, including streaky and pancetta style, which is always cured on the premises by ourselves. A.J. Pugh Butchers are two small Butchers shops in Powys and Shropshire, traditionally run by family. 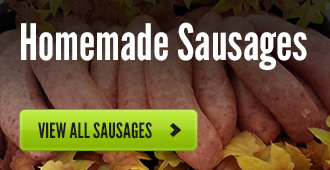 We provide a range of quality meats online, including home cured bacon, home made sausages, mutton and more! 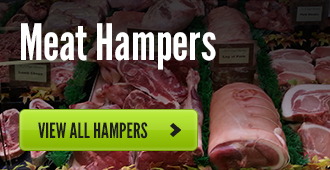 We aim to produce locally reared meat, cut by hand, by ourselves for a more personal touch. We have been trading for more than 30 years and are happy to oblige with any requests as we believe that this is a process sadly lost by many online food suppliers these days. 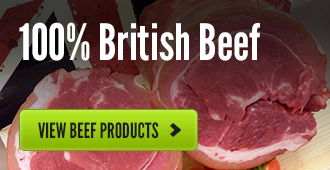 We cut and pack all of our meat to the highest standards and demand only the best for our customers. If there is something you would like, that isn't listed on the website, please give us a call or email and we will surely be able to supply it.